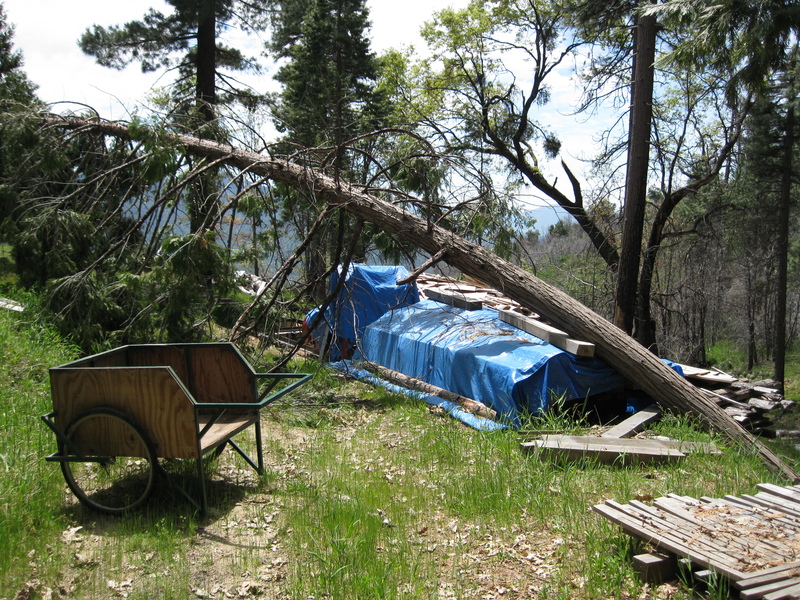 In addition to the high winds, a fire burned through our property in 2008, leaving lots of dead trees and brush, and pine beetles had been leaving more of the trees weakened and dying. We had plenty to choose from, but also plenty to clean up to get to them. 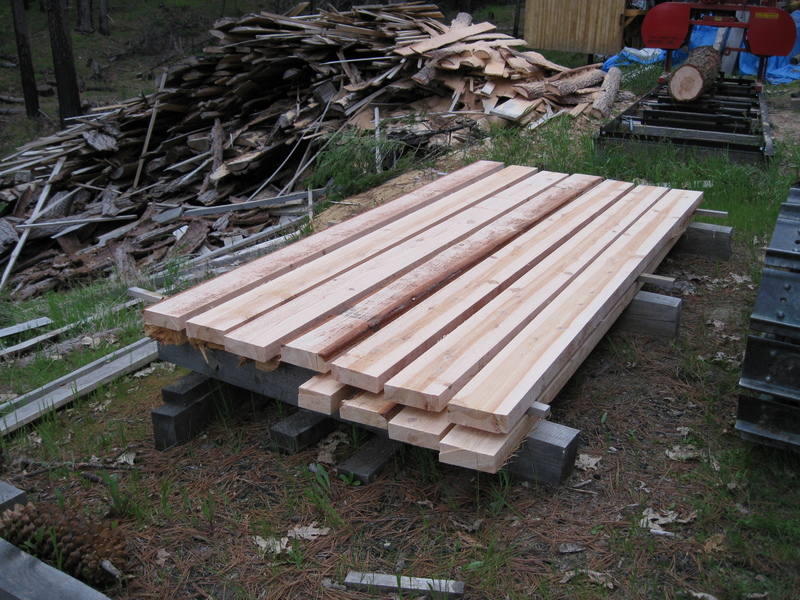 Step 2: Select trees for milling (cedar and Ponderosa pine). 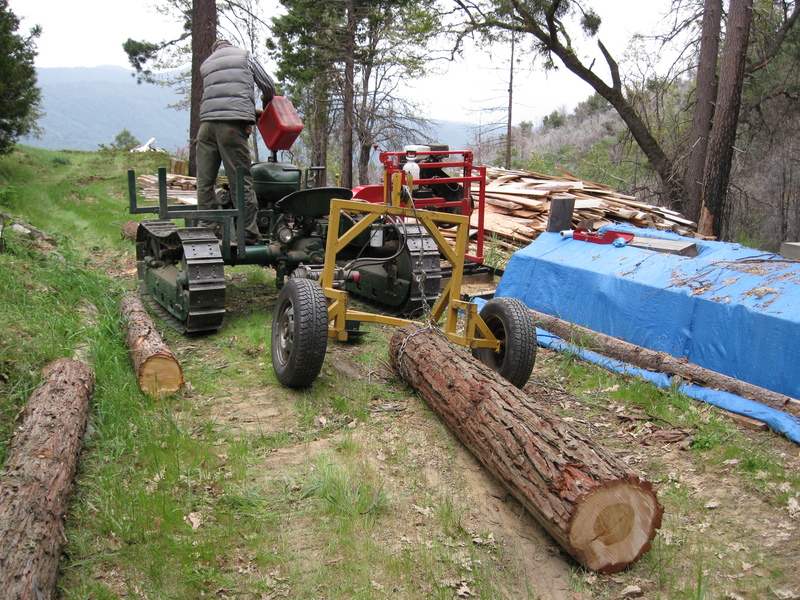 Once the trees were selected, felled, and limbed, we moved them in sections to the bandsaw mill. 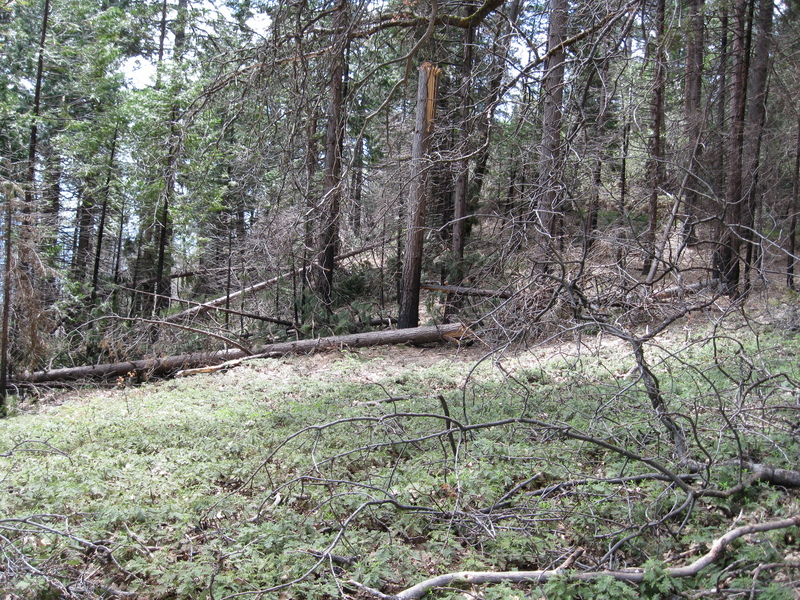 Step 3: Clear brush, limb trees, cut in sections, drag to mill. We got this mill as an upgrade from the chainsaw mill we were using originally for cabin-building. 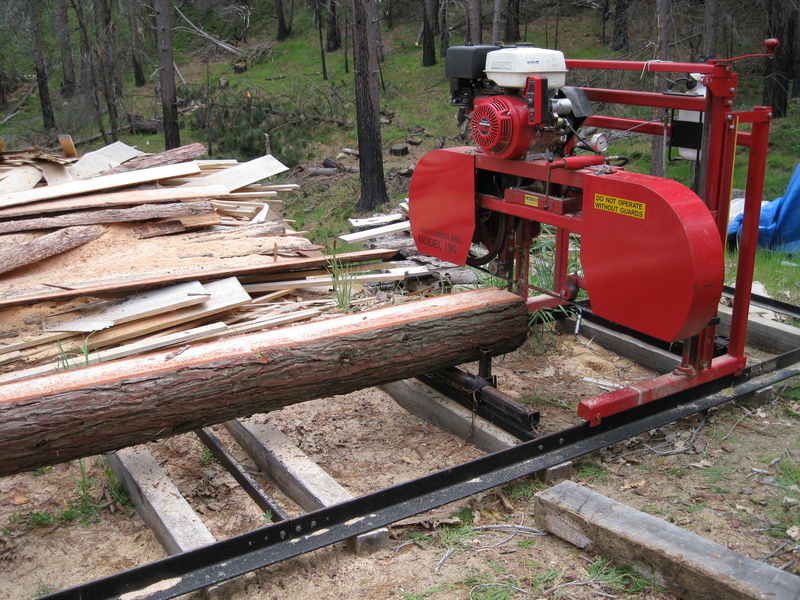 It runs along a track, and can be raised and lowered to cut the stationary log. Step 5: Stack boards, repeat. 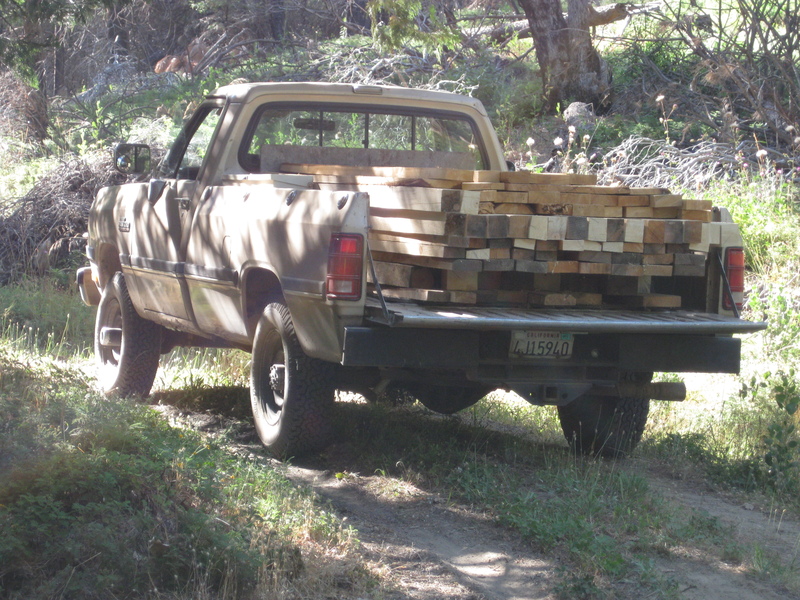 Step 6: After aging, bring wood home. We picked a nice site for the coop close, but not too close, to the house. Step 7. Select a site and level it. 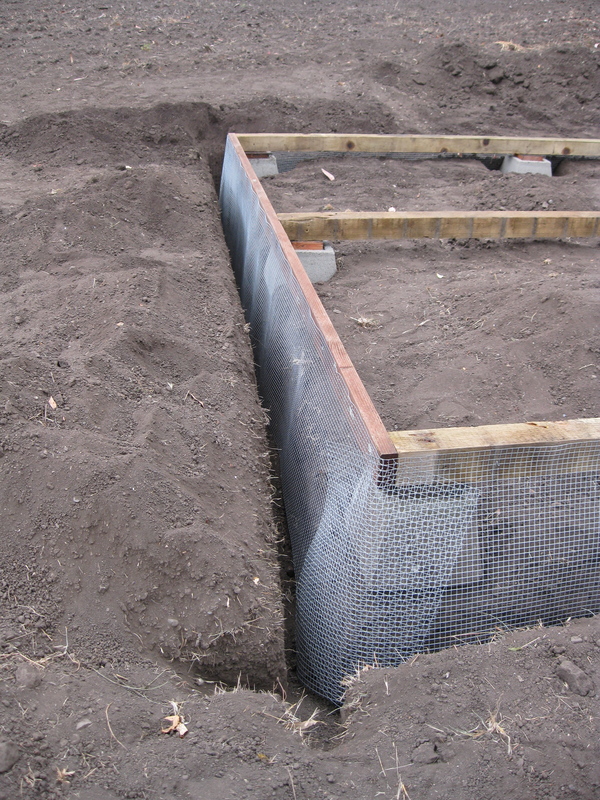 We buried 0.25″ mesh galvanized hardware cloth 1.5 feet deep, to protect the chickens from digging predators. 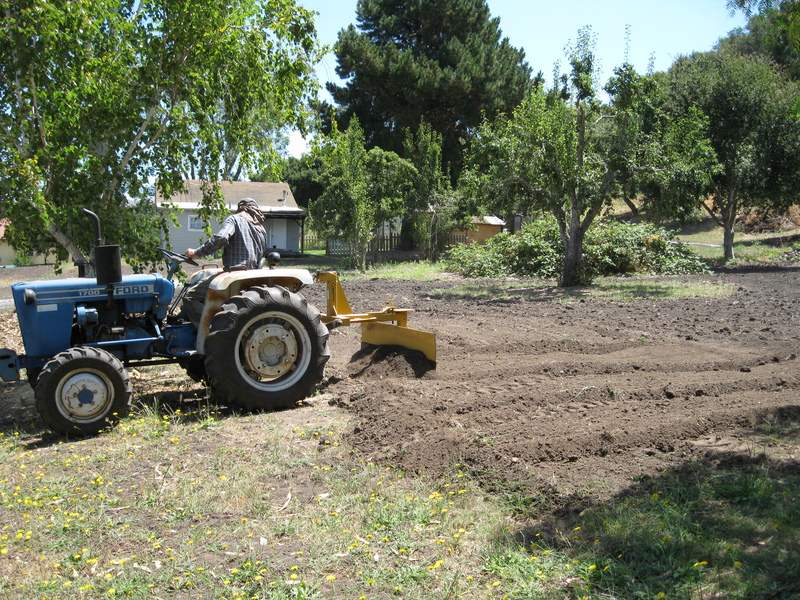 Step 8: Trenching and wire for predator-proofing. 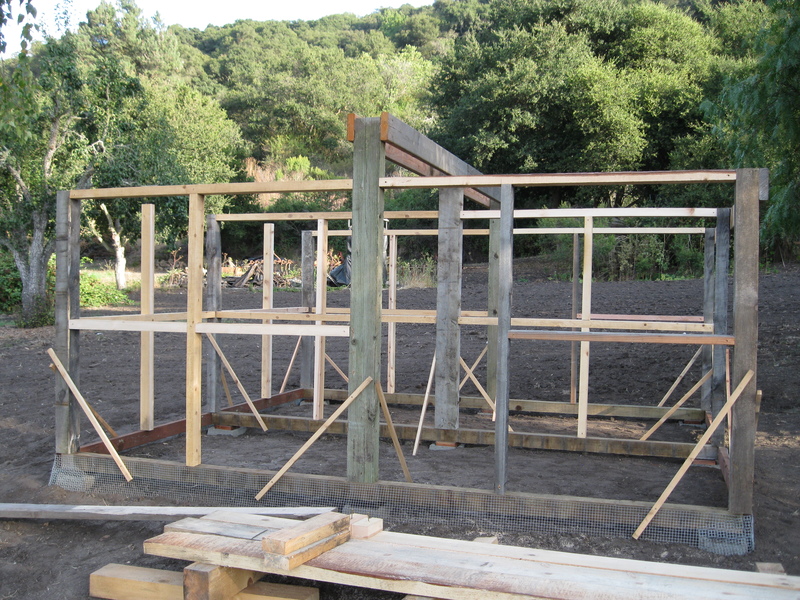 We used salvaged lumber in addition to the stuff from our property in framing up the coop. 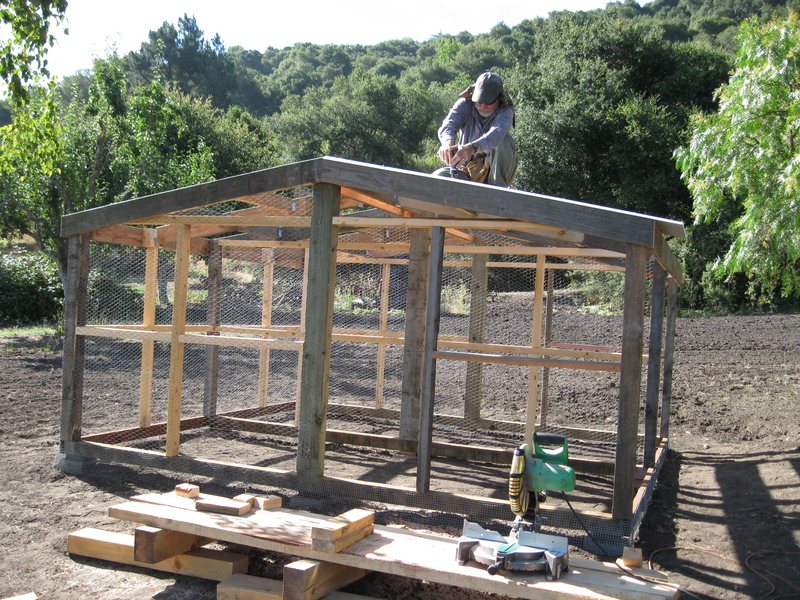 The roof is corrugated galvanized metal. 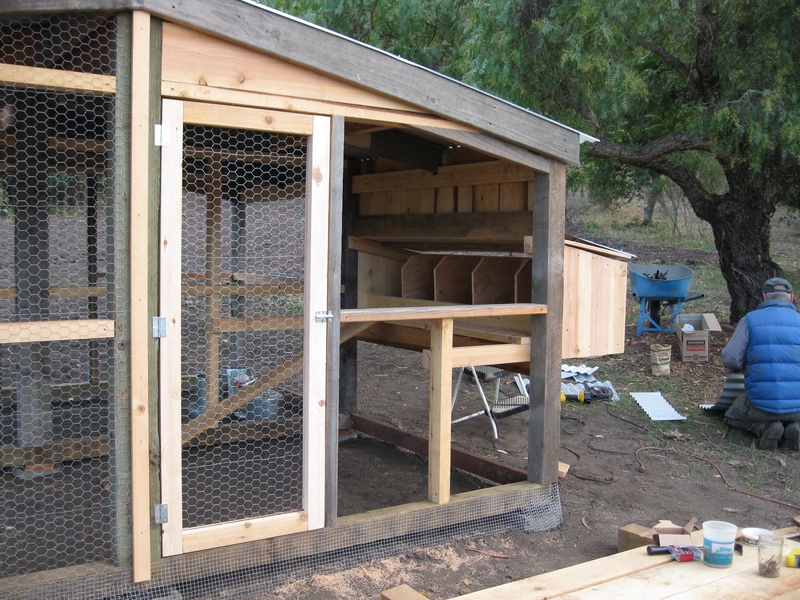 Step 11: Nest boxes and doors. 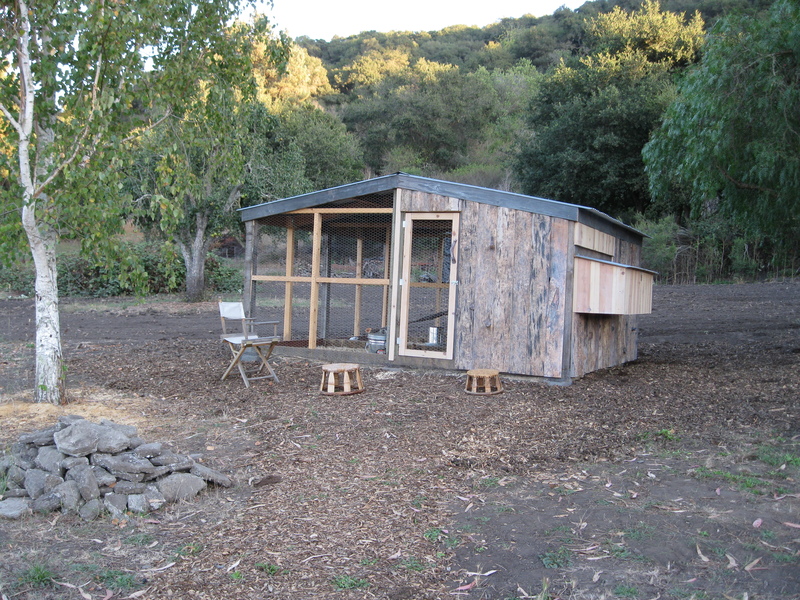 This entry was posted in chickens and tagged chickens, Mariposa, milling, Slow food. Bookmark the permalink.